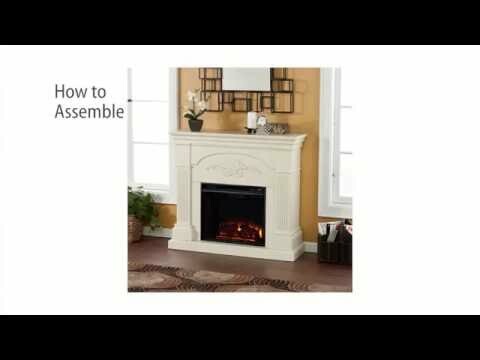 Bring elegance and class to your home with the Sicilian Harvest Electric Fireplace by Southern Enterprises. 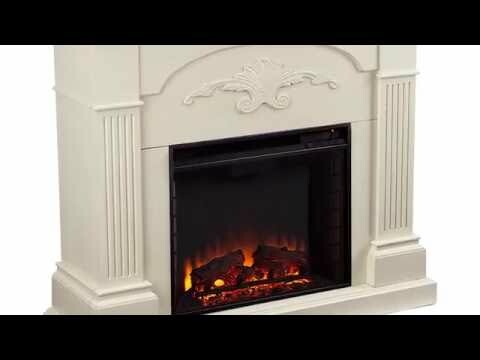 A classic floral carving and ivory finish adorn this beautiful fireplace. The energy efficient LED firebox features realistic, multicolor flames and a glowing ember bed that are complemented by a brick interior for a true wood burning fireplace look. Heat output can be adjusted between four settings with the provided remote, or can be turned off to enjoy the ambiance of a fireplace without the heat. Safety features include automatic shutoff and glass that remains cool to the touch. Southern Enterprises offers a limited one (1) year warranty on their products to be free of defects in materials and workmanship from date of purchase. 400 Sq. Ft. -- 1,000 Sq. Ft. 1,000 Sq. Ft.